I’ve been out this week with clients, touring some of Portland’s up and coming neighborhoods. We focused on the Alberta and Mississippi districts and I’m so impressed with how far our city has progressed. Check out more info on Portland’s fabulous communities here. 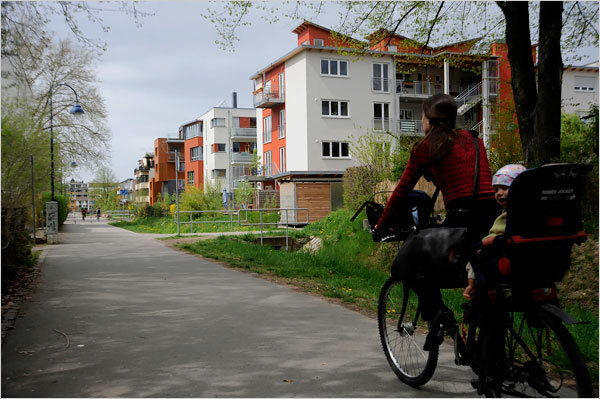 So, with urban design on the brain, I had to share with you the ultra progressive neighborhood of Vauban, Germany – a community designed for car-less living. 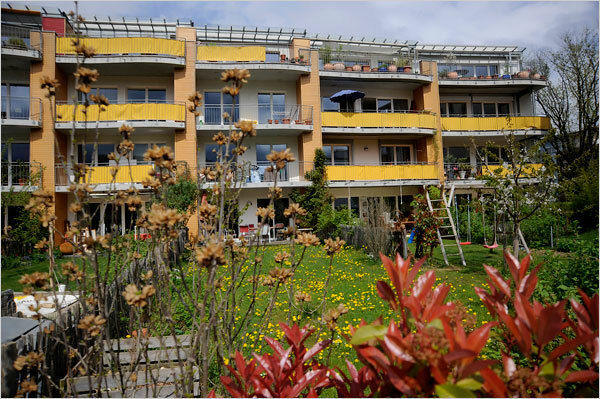 Built in 2006, Vauban offers a pedestrian lifestyle for approx. 5000 residents, that embraces environmental conservation and sustainability. 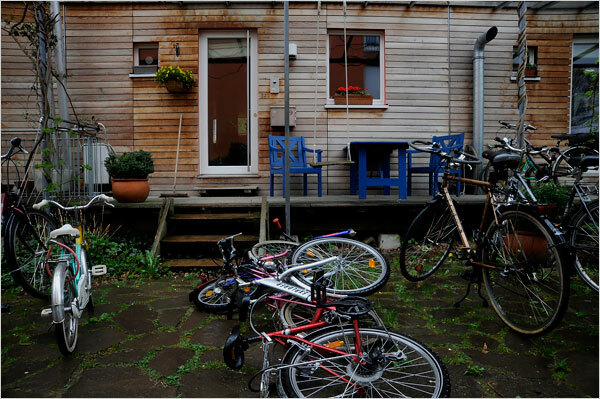 Shops, banks, and other services and intermingled with residential homes to make walking and biking an everyday activity. 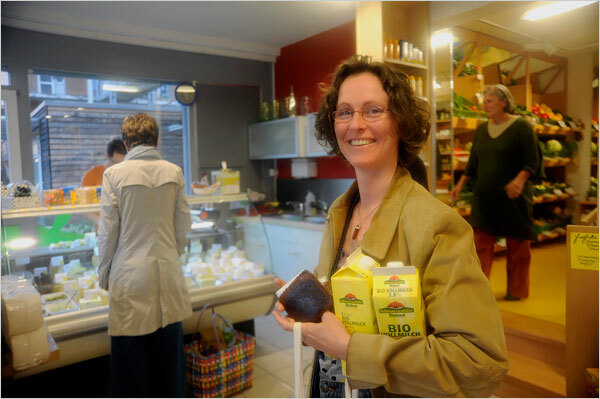 Locals purchase fresh goods daily at the local market place. 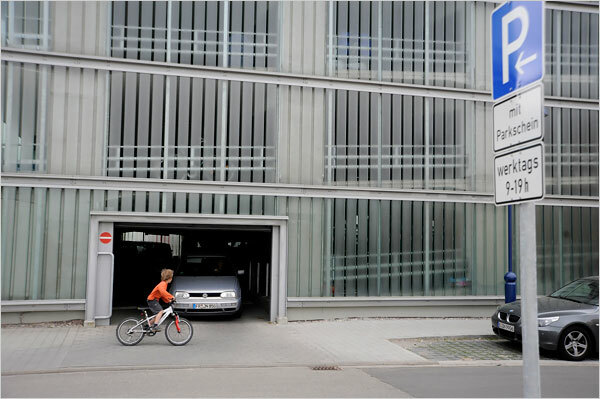 If you do happen to own a car..(boo)…this is where it lives – a parking garage on the edge of town. You will pay a high price for your vehicle since parking spots must be purchased for a mere $40K! Ouch! A fleet of shared cars also reside here, facilitating a highly economical car-sharing system. Brilliant! To conserve energy, the homes are all row houses. 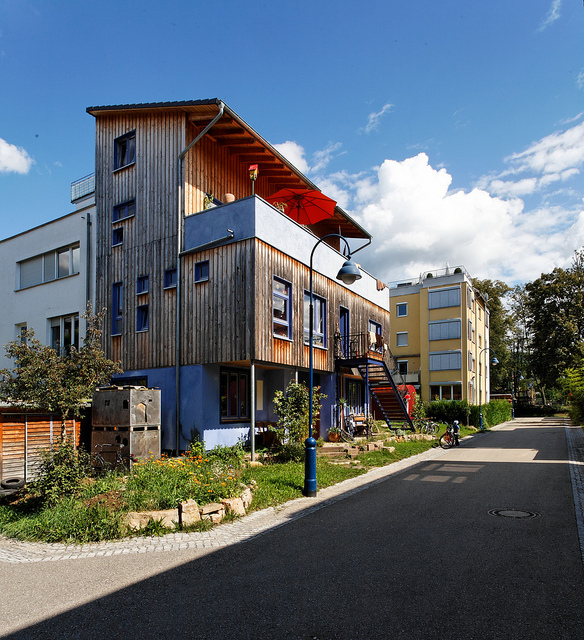 Free standing homes waste gobs of energy because of their exterior walls, whereas these houses are so well insulated that many do not require a heating system at all. As you can imagine, a car-free environment is a dream for parents and kids alike. 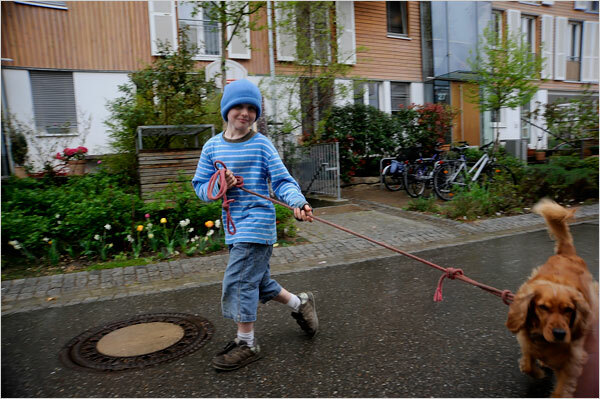 Children roam safely, walking dogs, riding bikes and playing games. Gotta get somewhere that is a bit too far for a stroll? No problem. 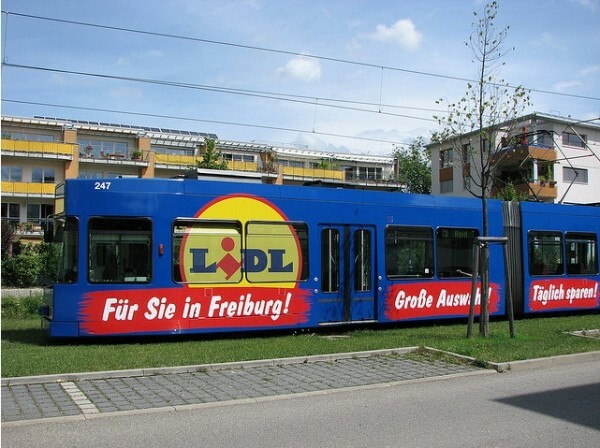 A tram runs down the center of town that can connect you to the train station. I love seeing this kind of community design. I believe it fosters stronger connections with our neighbors and safer environments for our families. Could you live in a car-free town? To learn more about this unique locale and the ingenious behind its planning go here. Images via 1. 2. 3. 4. 5. 6. 7. 8.